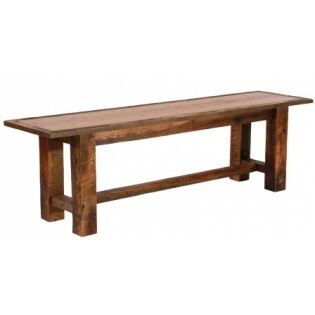 The perfect addition to your farmhouse or harvest table is one of our Barnwood Benches. Made from reclaimed Red Oak planks from 1800's tobacco barns. 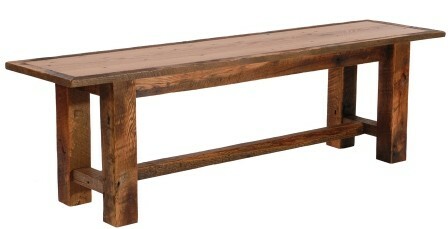 The perfect addition to your farmhouse or harvest table is one of our Barnwood Benches. Made from reclaimed Red Oak planks from 1800's tobacco barns. Each individually hand crafted bench will complement your rustic table and features a dull catalyzed lacquer finish that is extra durable and retains the wood's natural character.